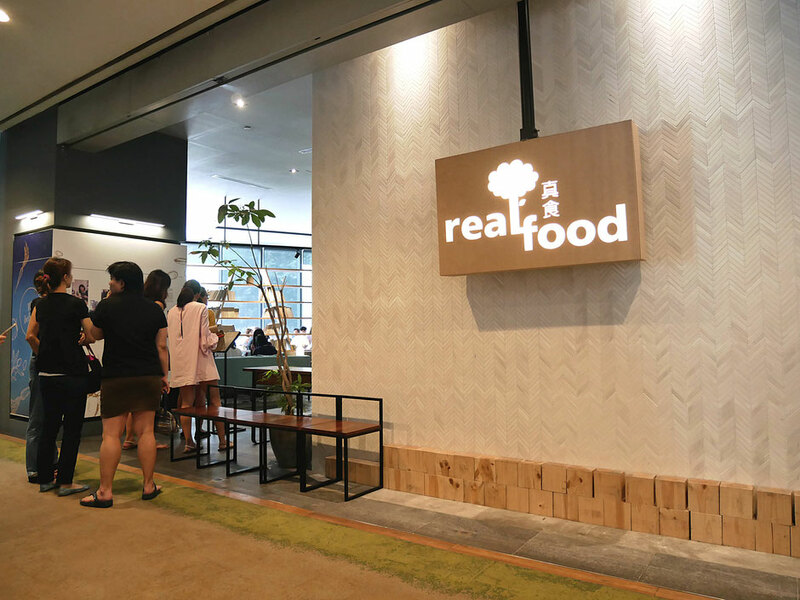 Real Food Café is the undisputed heavyweight king of organic vegetarian cuisine in Singapore. And whilst the fact that there are very few vegetarian restaurants, and even fewer organic restaurants, does mean that mantle is not the most difficult to win it does not detract from the excellent work Real Food Café group are doing. They started off with one outlet at The Central and have since branched out to Killiney Road (now moved to Orchard Central), Novena Square, South Beach and internationally in Penang and KL. We reviewed them before at their Far East Square outlet but didn’t do them enough justice (or take enough pics) so have returned to tackle their flagship shiny new Orchard Central outlet. We went at lunch on Friday and it was packed. It appears they were a little understaffed so we were prepared for long waiting times. 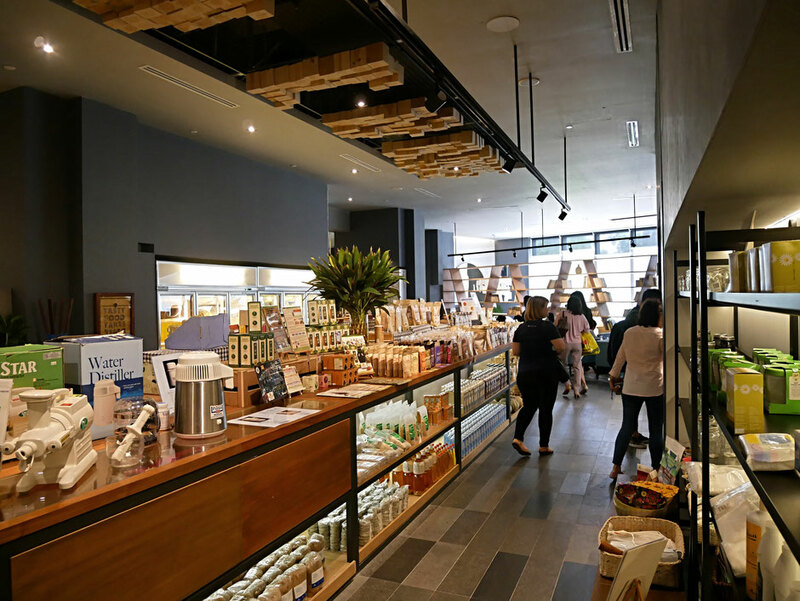 This really goes to show how much more popular organic food is becoming in Singapore and as long as you’re armed with oodles of patience and are not popping out of the office for a quick bite then its manageable. The restaurant has a great ambience with simple and tasteful décor and floor to ceiling windows overlooking KPO. 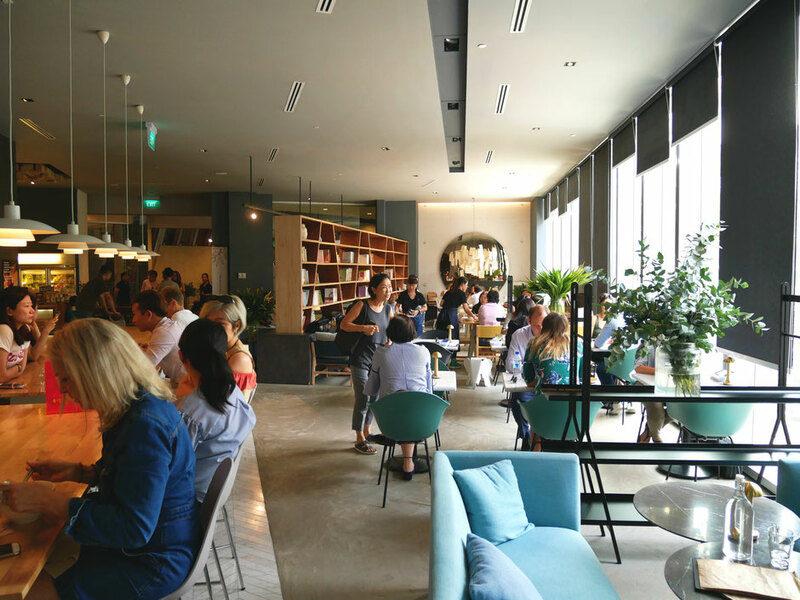 Obviously one of the reasons for the popularity is because of the high quality of the food served and the complete lack of competition for healthy organic food in Singapore. We ordered a bunch of stuff including the sweet potato fries, an orange, apple and pumpkin salad, fried egg noodles, the classic green salad and a dumpling soup. The food took between 20 min and 60 mins to arrive. 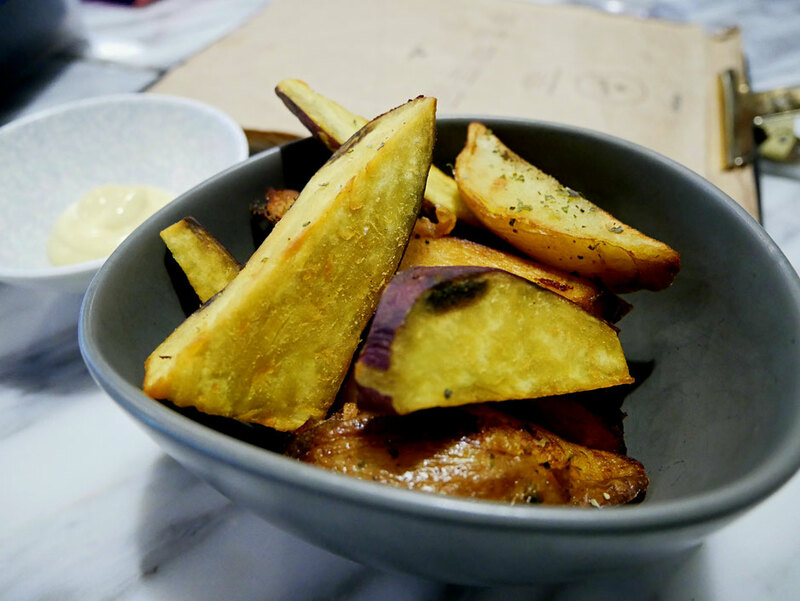 First to turn up were the sweet potatoes & potato fries which were great. Super crunchy on the outside with, I suspect, a little bit of sugar added and very delicately spiced. They were a little dry but there’s really nothing you can do about that if you use that particular kind of starchy yellow sweet potato. The orange ones are much softer but then you need to nuke them in the oven to get any kind of crispness on the outside. The potatoes were superb and even better than the sweet potatoes. They fry them in organic cold pressed high-oleic sunflower oil which is a reasonably decent choice of fat for frying. Ghee and extra virgin olive oil being the champions! The orange, apple and pumpkin salad turned up next and was rather interesting. It was more fruity than salady so probably would have made a better dessert. For some reason they swapped out the apple for pineapple without mentioning it. It was tasty nonetheless if unexpected. The vegan mayo, however was not that great and I would have preferred it on the side as an optional. It tasted like a combination of soy, sugar and orange flavouring - all of which are definitely vegan but not necessarily an ideal health food choice. The Real Food Café does serve really great quality organic veggies so I feel they should allow the food to stand on its own two feet and sometimes the sauces are unnecessary. I’ve always been a big fan of Real Food’s Classic Green Salad and normally always order it as a side whenever I eat there. The beans are nice, warm, crisp and sweet; fresh avocados perfectly ripe and a nice combination of mesclun leaves with an optional sauce. This time however the beans kinda came out a bit limp but the rest of the salad was good accompanied by a honey mustard dressing which was infinitely better than the vegan soy dressing. The fried egg noodles were great - tasty, not too salty, nicely cooked al dente style. They looked like spinach noodles and we suspect that they contained wheat, egg and spinach so not for the gluten free crowd but certainly good. As ever if you’re not a vegetarian then you’ll probably find there’s not enough protein and fat from 1 egg to keep you going until dinner so feel free to order a few more on the side. The wonton dumplings were the last to turn up just under an hour after ordering. Were they worth the wait? Yes, they were! 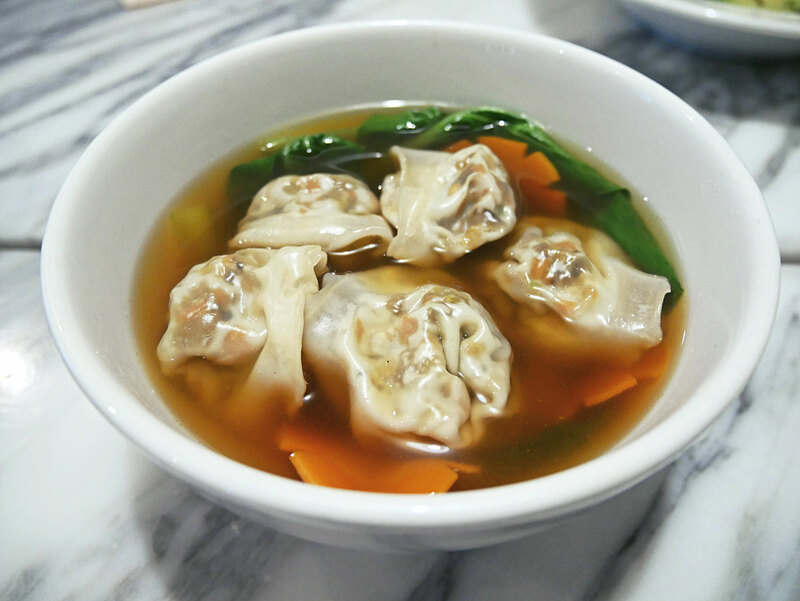 The dumpling soup really surprised us, in the best way possible. The broth was simple and sweet. The carrots and turnip in the homemade dumplings were not overly cooked and added a nice crunch. The skin of the dumplings was really soft and silky, ensuring they slipped down a treat and reminded me of good quality homemade Asian dumplings. After our mains we checked out the desserts at the dessert counter. I asked the lady what the ingredients were and she proudly waved towards the majority of the display and announced they were all vegan. I probed further and found that they contained agave nectar, refined white sugar and wheat flour - none of which are very good health choices. They did however serve some gluten free cakes that used coconut sugar which is a much better alternative substitute to refined white sugar but we didn’t find out what else was in them. 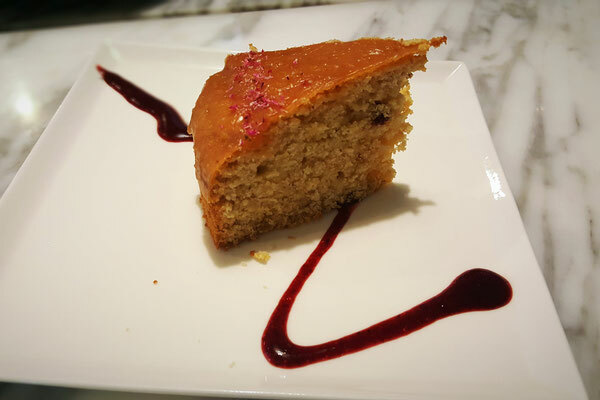 In the interest of self experimentation and to bring you this essential review we put our lives, and health, on the line to try out a lemon cake and a kind of cheesecake slice! 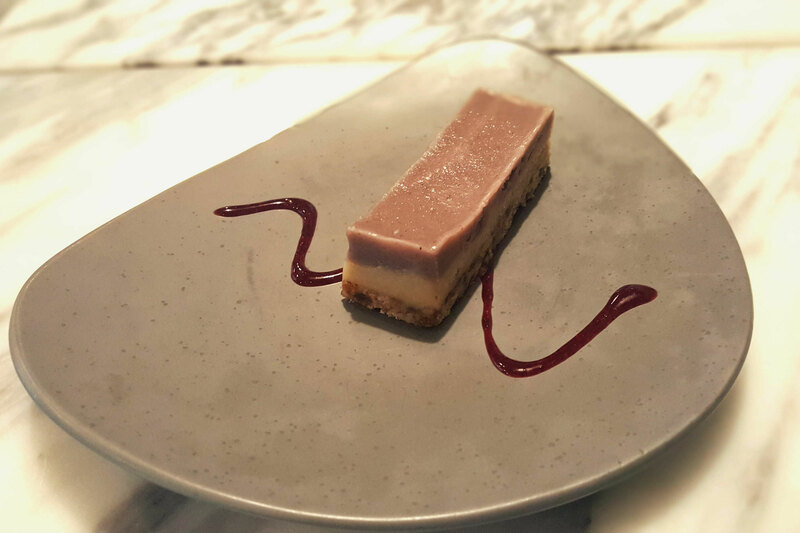 The cheesecake was good and similar to the Balance Living Café cheesecakes with a good nutty base, creamy centre and a very sweet (too sweet) fruity topping. The lemon cake was just OK but considering it was gluten free they did a pretty fine job. I think when it comes to spongy cakes you just can’t do them properly without gluten (using almond or coconut flour instead) so its best not to bother at all. All in all we love the concept of what The Real Food Café are doing and are big fans of organic food; its tastes better, is more nutrient dense, contains less toxins and is more sustainable to the environment. It would be nice if the management took it to the next level by dumping all the soy and gluten on the menu and adding in more real food like some organic, pastured animals or at least some wild caught fish to the menu but we can't have everything. Despite that the Real Food Cafe is certainly up there with the healthiest and tastiest restaurants in Singapore. Offers at least some locally sourced and/or organically produced food and/or wild-caught seafood. Offers at least some pastured animal foods. Offers some dishes made with organ meats. Cooks (sautés) in natural fats. 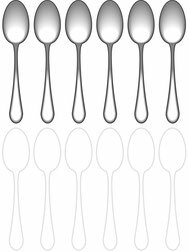 Makes own bone broths/stocks for use in soups, stews, gravies, and sauces. Makes own salad dressings using olive oil or cold-pressed sesame oil. Offers desserts made in house with natural sweeteners. 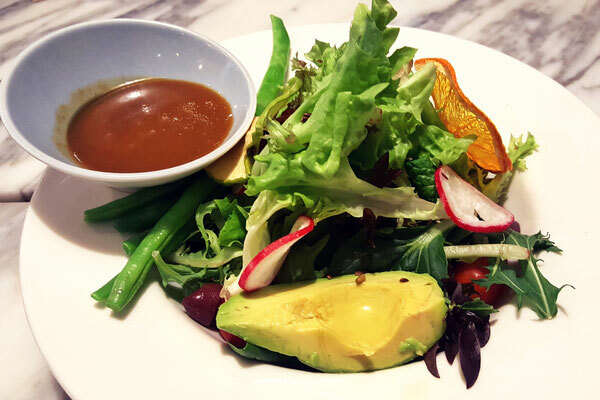 Finding high-quality healthy restaurants in Singapore can be a troublesome task. We've got the perfection solution for you. 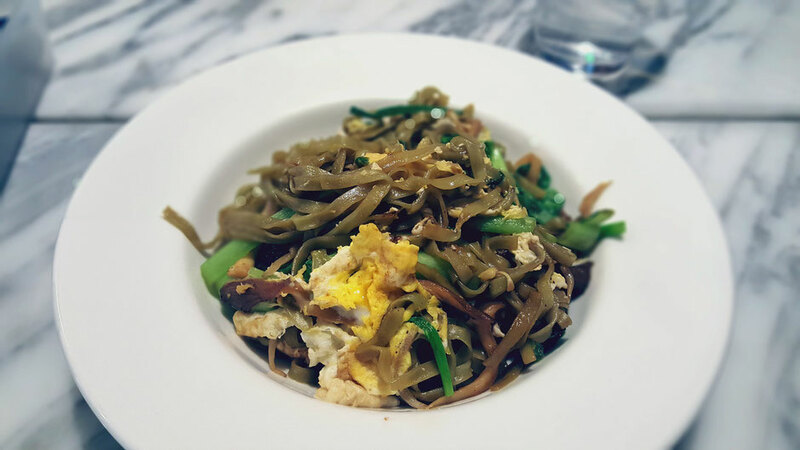 Click here to quickly, and easily, find all of the healthiest restaurants in Singapore.